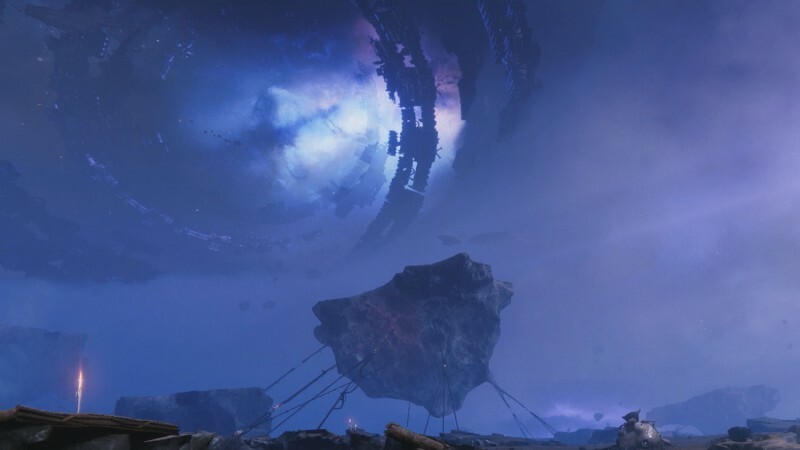 Your hunt for the eight barons and Uldren in Destiny 2's Forsaken expansion will take place mostly on the Tangled Shore, a vast area made of tied-together rock formations, Fallen architecture, and of course, beautiful skyboxes. For a sense of what to expect when you start exploring the Tangled Shore, we took a quick look at what the location has to offer. We have some flythrough footage of some of the more memorable parts of the locale, and we also tackle a public event and three of the Lost Sectors you can expect to find there. We also talk about how the location ties into Bungie's claim that the story will be taking a darker turn in Forsaken, the Western inspiration for some of the locations, and what does and does not qualify as a saloon.